Why is Nestlé still one of the most trusted companies when dealing with food and beverage in sooo many countries for over 150 years now? They need no hocus pocus for this. It only happens that the company knows how to innovate with the products that they introduce to the market, as well as to whom they are introducing them to. Just like with the promotional cup that’s included as a gift with purchase for Nido 3+, one of Nestlé’s brands that provides nutritious milk to kids in powder form, it has high probability of encouraging more youngsters to drink from it more often. Displays Functionality. The promotional cup is made out of high-grade plastic that has great design in yellow and green, and it is not easily breakable. This displays functionality, and consumers will see it outright. This already increases its importance to the brand that is known for producing high-quality products. Encourages More Purchases. Aside from the kiddos, the parents are really who you want to target here, since they have the cash to pay for the merchandise. And parents, for your information, are more inclined to buying something where they get more than what is printed on their receipt. That can occur when there’s a gift with purchase, so Nido can expect more profits because of it. Keeps Shoppers’ Loyalty. People are already highly aware of the brand, so the next big step is to keep the consumers’ loyalty. 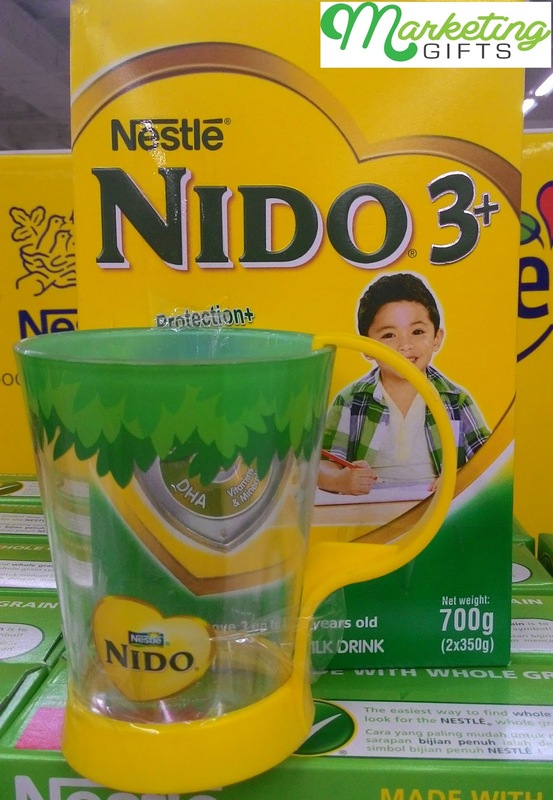 Nestlé Nido does just that – and maintain the good value of the brand – by adding useful freebies such as this promotional cup to regular merchandise. Find more promotional ideas when you visit our blog or contact us at Marketing Gifts.